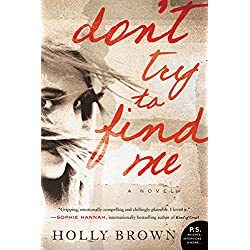 Thriller, Contemporary Fiction, Romantic Suspense, Christian Fiction, Nonfiction, Romance, Fantasy, Mystery… today’s featured books have a little something for everyone! 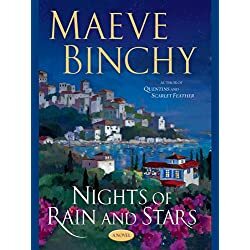 From #1 New York Times bestselling author Maeve Binchy – the lives of four strangers are forever altered when they meet in a Greek seaside village. Fiona left her nursing career in Ireland to be with the man everyone thinks is wrong for her. 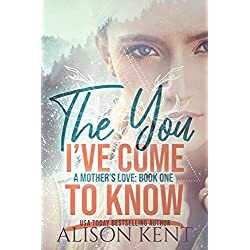 Elsa fled Germany and her high-powered television job once she learned what the man she loved was hiding from her. Thomas mourns his failed marriage and misses his young son in California, while David yearns to reconcile with his family in England without having to go into the family business. Casewell Phillips has resigned himself to life as a bachelor… until he meets Perla. 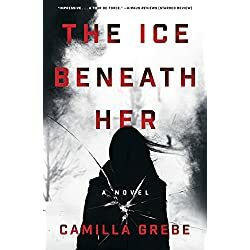 She’s everything he’s sought in a woman, but he can’t get past the sense that she’s hiding something. 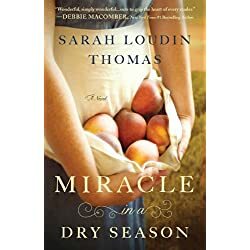 As the drought worsens, Perla’s unique gift divides the town in two, bringing both gratitude and condemnation, and placing the pair in the middle of a storm of anger and forgiveness, fear and faith. How far would you go to save your friends? 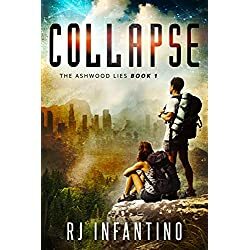 When Chase finds survival gear hidden in the attic of his boarding school, he realizes Ashwood Prep isn’t what it seems. Thrust into a conspiracy that is centuries old, he can choose to run or stand up and fight. After an earthquake cuts the school off from the rest of the world, Chase has to figure out who’s a friend, who’s an enemy, and if there’s really any difference at all. As the world starts to collapse, trusting the wrong person can have deadly consequences. Caught between his classmates and the professors’ schemes, he can’t afford to choose wrong. It would all be a lot easier if Taylor and Maya weren’t pulling him in opposite directions. Is it really the apocalypse? Or is it something much worse? The Making of the President 1960 is the book that revolutionized – even created – modern political journalism. Granted intimate access to all parties involved, Theodore White crafted an almost mythic story of the battle that pitted Senator John F. Kennedy against Vice-President Richard M. Nixon – from the decisive primary battles to the history-making televised debates, the first of their kind. 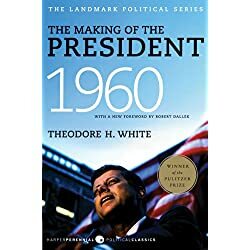 Magnificently detailed and exquisitely paced, The Making of the President 1960 imbues the nation’s presidential election process with both grittiness and grandeur, and established a benchmark against which all new campaign reporters would measure their work. The winner of the Pulitzer Prize for general nonfiction – and the first entry in White’s influential four-volume “narrative history of American politics in action” – this classic account remains the keystone of American political journalism. He’s having a hard time managing on his own…so how did asking his neighbor for a favor get so complicated? 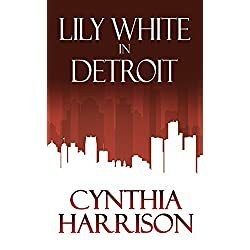 Being unexpectedly tasked with caring for his adorable ten-month-old niece is more than Detective Joel Wolfsley can handle. He’s on sick leave with one leg in a cast after a drug dealer mowed him down with a car. But Joel’s a sucker for his sister—all four of his sisters—and the munchkin’s mom needs his help. Thing is, Joel needs help, too. Isn’t that what next door neighbors are for? One look at the tough-talking "Big Bad Wolf" cradling a baby in his arms and kennel owner Willa Darling knows he’s all bark, no bite. Joel might need assistance chasing after his niece, but he’s completely capable otherwise, and a family man at heart. Which means that in spite of the tension that simmers between them while caring for the infant, Willa will have to let him go. How can she do anything else when he’s not the family man she’d thought? Myranda is a young woman more interested in staying alive than being a hero. Orphaned by a continent-spanning war that has gone on for decades, she has always been on the move. One can hardly blame her when she thinks that the chance discovery of a fallen soldier’s priceless cargo is the moment that will change her life. But no one could predict just how great that change would be. 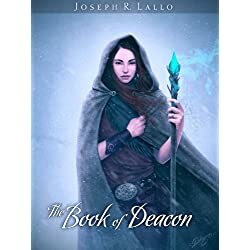 It will lead her through an adventure of rebels and generals, of wizards and warriors, and of beasts both noble and monstrous. Each step of the way will take her closer to the truth of her potential, of the war, and of the fate of her world. Feisty. Ballsy. Bold. … And not your average seventy-year-old woman. After a late-night tryst, seventy-year-old Maisie Fezziwig wakes to a harrowing scream outside. Curious, she walks outside to investigate. The sleepy street is still and calm at first, until Maisie stumbles on a grisly murder that changes her life forever. 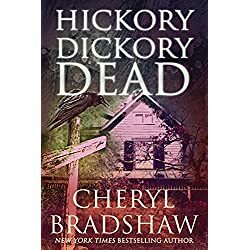 If you love fast-paced books with a twist you won’t see coming, you’ll love Hickory Dickory Dead.